According to the American Institute of Stress, 44% of Americans feel more stressed than they did 5 years ago. With stress on the rise, so is its impact on health. In fact, stress is the basic underlying cause of 60% of all illness and disease. Stress can cause serious health issues for your employees and serious impact to your bottom line. An American Institute of Stress study found that stress can increase the risk of heart disease by 40%, the risk of a heart attack by 25% and the risk of a stroke by 50%. These stress-related diseases cost the United States roughly $300 billion every year in medical costs and lost productivity—$100 billion more than the cost of the obesity epidemic. What is something simple you, the employer, can do today to lower employee stress? Breaks can help recharge and relax employees, which can help increase productivity. Utilize all employees for tasks or projects. Not only will this help lower stress, it will also help employees feel like they are needed and appreciated. Communicate what your organization is working toward and share appreciation for each and every employee. 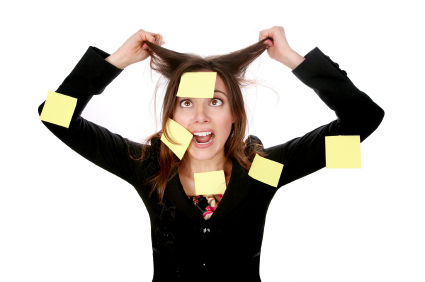 How can my organization help improve stress levels for our employees? EAPs help employees deal with stressors in their lives that may be affecting their job, home life or health. This program typically offers confidential counselling free to the employee. Time off from work can help recharge the body and brain. In order to provide excellent customer service and increase productivity, it’s important that your employees are well rested and healthy. Throughout the year, show your appreciation for your employees and their hard work. A well-rounded wellness program should include tools and resources related to stress management. Looking for additional support to helping to reduce your employees’ stress and improving their overall health and wellness? Partnering with the right wellness platform, such as Well Nation®, can positively impact your organization’s overall health by providing the tools and resources needed to become healthy and save in healthcare costs. Well Nation® offers a suite of comprehensive and easy-to-use resources that incorporate a 360-degree approach to wellness, from nutrition and fitness to stress management and heart health.